Olivia de Havilland was born in Tokyo, Japan, July 1, 1916, to British parents. 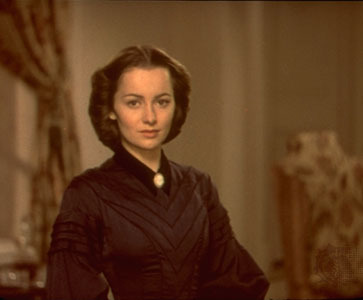 Olivia's mother was Lillian de Havilland Fontaine. Her dad was Walter de Havilland. Olivia de Havilland's sister was actress, Joan Fontaine (b.1917). Olivia and Joan was nominated for an Oscar at the same time and when the envelope was opened to reveal the winner Joan beat out her big sister for the Oscar. Olivia went on to win two Oscars for "To Each His Own" (1946) and "The Heiress" (1949). She won Best Actress in both. Olivia was also famous for playing twins in "The Dark Mirror". Olivia and Joan are famous as the feuding sisters. The feud is still on today. Which means that are still fighting and still not talking to each other after all these years. 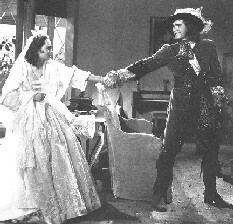 Olivia de Havilland was the first actress to sue a major studio that won because she want to play more adult roles and would not give it to her instead they gave her a lame script. She win her case againist Warner Bros.It gave the studios a law not to treat their stars like a piece of meat. This law is called "The de Havilland Law" named for Olivia de Havilland. All the actresses including Bette Davis congrated her on that win of the studios. Today, Olivia de Havilland is in retirement at the age of 88 years old in Paris, France. She is very healthy who lives with her daughter. She speaks English and I think she might speak French also. She came to the United States a couple of times to promote "Gone with the Wind's" 60th year. She also want to New York a couple of years ago to promote a ship. Her latest thing was to do a groundbreaking last year for a college in her cousin, Geoffey De Havilland's name. She is writing her autobiography as we speak. She is not taking letters from fans while she is writing.